Considerable improvement. RNZI sounds as good as it does in DReaM software. Disco Palace sounds great too with improved stereo image. Any audio shortcomings now are the result of the smaller size of the unit and speakers. I consider this fix to completely solve the bandwidth and stereo issues I originally noted as a disappointment. Another wonderful improvement. Significantly easier to use in terms of band scanning for analogue. Additional changes were made to DRM information display refresh and MP3 ID3 display when playing music. The firmware upgrade process was really simple. I used a 2GB SD card formatted FAT32. 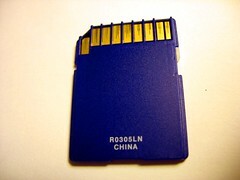 I placed the several firmware files on the root directory of the SD card using my PC with an SD adaptor. With the DR111 powered off, I inserted the SD card in the slot. Powering up the DR111, it booted and immediately updated the firmware from the SD card. Once finished, I turned the DR111 off and back on. It is important not to turn off, remove the SD card or pull the power from the DR111 during any part of this process. I have been sending CDNSE comments, impressions and wish-list improvements. They have been very responsive to these suggestions. From hints I've gotten from the CDNSE staff, more great additions and improvement on the way soon! Folks, we have a winner here!